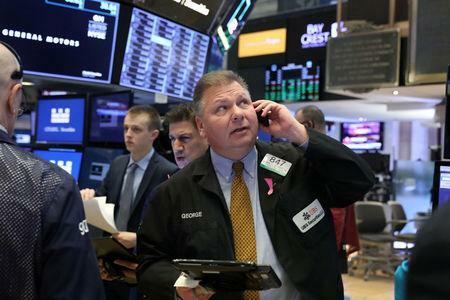 "Trade fear has reared its head again with Trump administration concerns (that) China is walking back some of the pledges they've made in negotiations so far," said Chris Zaccarelli, chief investment officer at Alliance in Charlotte. Investor focus will remain on the Fed on Wednesday, particularly on whether policymakers have sufficiently lowered their interest rate forecasts to align more closely their "dot plot," which shows individual policymakers' rate views for the next three years, with market expectations. MSCI's gauge of stocks across the globe gained 0.16 percent. "What we are seeing is the market positioning for potentially a more dovish tone tomorrow," said Minh Trang, senior currency trader at California's Silicon Valley Bank, speaking about expectations of what the Fed's statement will be like on Wednesday. "OPEC and non-OPEC producers are determined to get the supply and demand dynamics better into balance, recognizing that U.S. shale production is going to continue to rise," said Andy Lipow, president of Lipow Oil Associates in Houston. U.S. Treasury yields zigzagged ahead of the Fed's Wednesday statement. Benchmark 10-year notes last fell 4/32 in price to yield 2.614 percent, from 2.601 percent late on Monday.